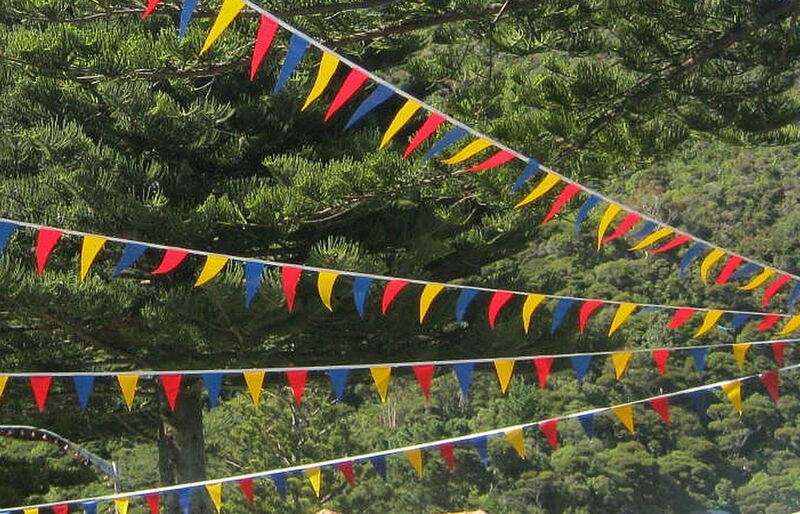 This colourful bunting hangs across the shopping area at Eastbourne, across the Port Nicholson Harbour from Wellington City. it gives a bit of summery festive atmosphere while shopping here. I'm a big fan of bunting.I made strands and strands of it for the grandkids when I was out of work last summer.